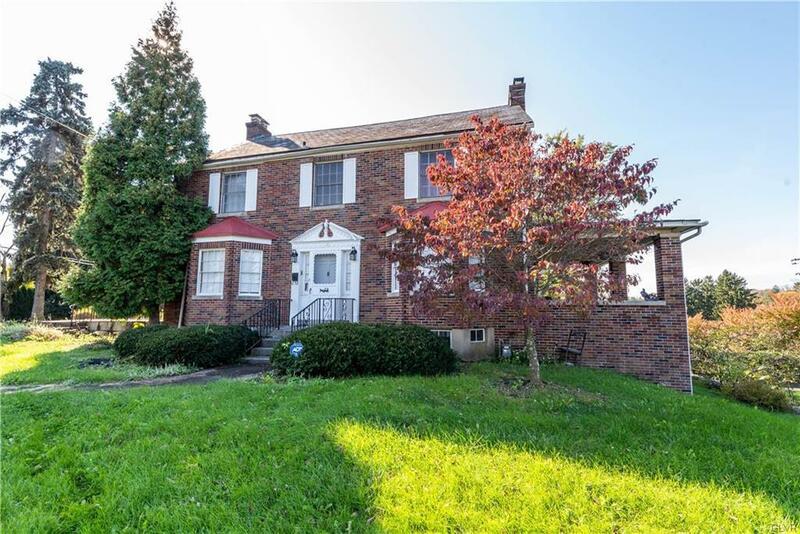 CLASSIC full brickfront 6 bedroom/2 full, 2 half bath home on corner lot! Gleaming hardwood floors throughout main floor! 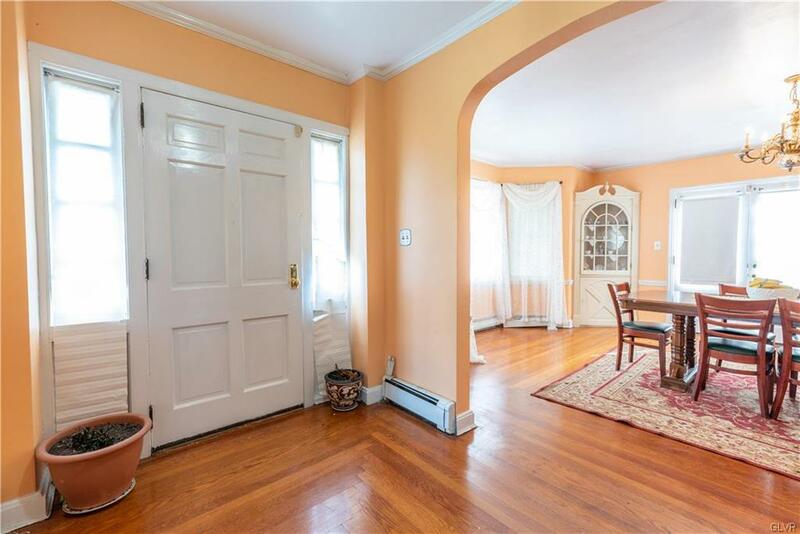 Foyer center w/hardwood staircase that has black wrought iron spindles & arch doorways leading to formal living & dining room w/bay window, baseboard & crown molding! Upgraded kitchen has ceramic floor tiles, granite countertops, tiled backsplash & stainless steel appliances & sink! Ceiling fans in ALL bedrooms for your comfort! TWO fireplaces: living room & basement! FULLY FINISHED walkout basement has a half bath, family room & laundry room! 3-car garage & paved driveway for additional parking! Large stone patio w/black wrought iron railing is the perfect space for entertaining! SECOND covered brick patio is ideal for sitting back and relaxing while enjoying the views! 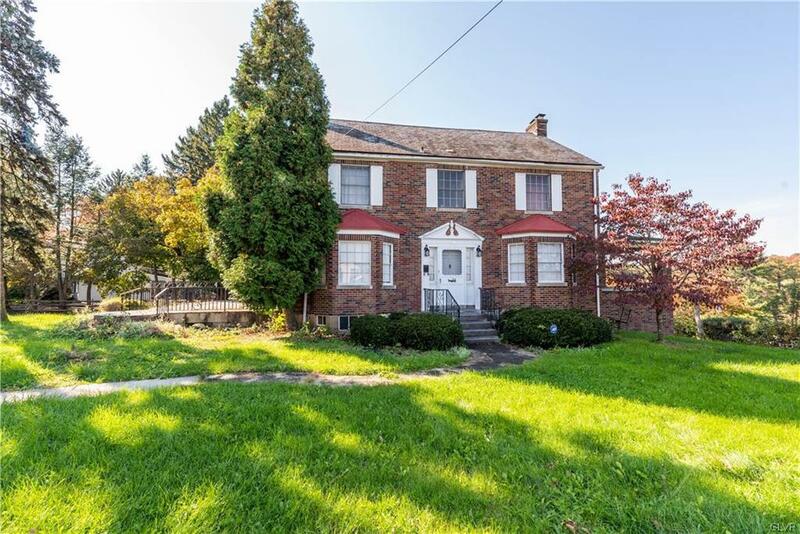 Conveniently located close to parks, Dorney Park, Lehigh Valley Hospital, shopping & more! Check out this home TODAY!